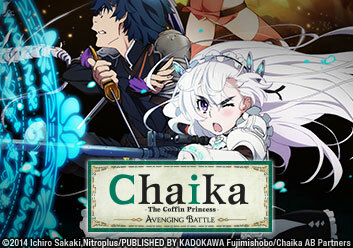 Chaika, Toru, Akari, and Fredrica's adventures continue in Chaika the Coffin Princess: Avenging Battle! While Chaika searches for the answers to her purpose and identity, Red Chaika continues the search for the emperor's remains. With conflict once again on the horizon, will Chaika's quest ultimately bring peace? Or will the country, once again, be torn apart by war?